A&E Arborists Tree Care is a great place to grow. Our team has 50 years of combined tree care and land management experience and is lead by a tree industry expert with over 30 years experience in Residential and Commercial Tree Care, Big Timber Felling, Logging, Lot Clearing and Fire Safe Land Management. We offer competitive wages, excellent training and quality experience to grow your career. Currently we are looking for Experienced Tree Climbers and Groundsmen to join our growing team. 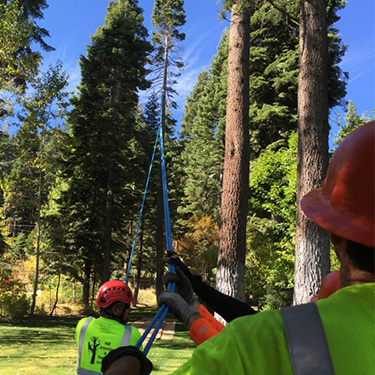 We currently have several full time Experienced Tree Climber positions available. Responsibilities include: using climbing and rigging techniques, cutting away dead or excess branches or complete removal of tree to maintain right-of-way for roads, sidewalks, or utilities, or to improve appearance, health, and value of tree. Pruning or treating trees using chainsaws, hydro saws, and handsaws. 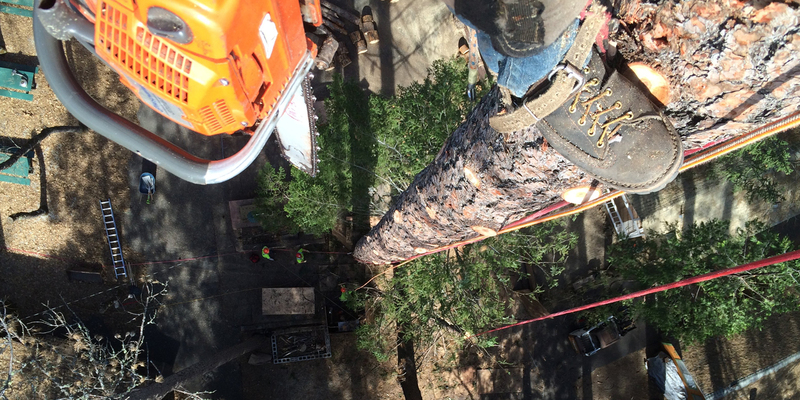 Working off the ground in the tree canopy climbing and utilizing truck-mounted lifts. Driving commercial vehicles to work sites. General Tasks: Climb trees and or utilize truck mounted lift to access work areas. Cut down dead and dying trees away from power lines, structures, easements, and right of ways. Trim away dead and excess branches from trees. Clean, sharpen, and lubricate tools and equipment. Experience: Minimum of 12 months of climbing experience. Class A Driver is preferred. A clean driving record is a must - No DUI's. We are currently looking to add a few Groundsmen to our experienced team. Groundsmen are required to perform heavy physical duties on a variety of tasks which are generally either unskilled or semi-skilled in nature. Responsibilities include: Hauling brush and wood from the tree to the truck, assisting the tree climber, using ropes, various hand and power tools, and cleaning the job site. Driving Chip Truck and Chipper to job sites.